As an entrepreneur or merchant, you should become a vigilant watchdog about what's being written or said about your brand or product online. 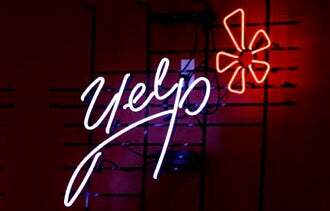 Reviews show up in a number of places, including sites like Yelp, Angie's List, and TripAdvisor, as well as in comments or full-on posts on blogs and social media utilities. These reviews offer word-of-mouth advertising, and consumers are not shy about participating -- offering both positive and negative opinions about your business. There can even be an impact on a company's bottom line: according to a study released last summer by Boston-based strategy and communication agency Cone, 80 percent of consumers said they changed their minds about purchases based on negative information they found online. Respond quickly. A quick response is always the best way to diffuse a poor review of your company or product. Don't wait around for more readers to jump on the bandwagon. Nip the issue in the bud. Personalize your response. Introduce yourself by name instead of referring to a faceless organization. Doing so adds a human touch. Check your ego at the door. Take gripes to heart and look for common threads. Leave the finger pointing and excuses to your competitors. If people are saying good things about you online, you have the added task of maintaining the high expectation new customers will have of you. Train your staff to live up to and exceed those expectations. Similarly, take note of what your customers -- or your potential customers -- are writing about your competitors. While it's true you need to focus on delivering on your company's unique value, there's a lot to be learned from online comments about the competition. What steps do you take to manage negative reviews online? Leave a comment and give us your take.